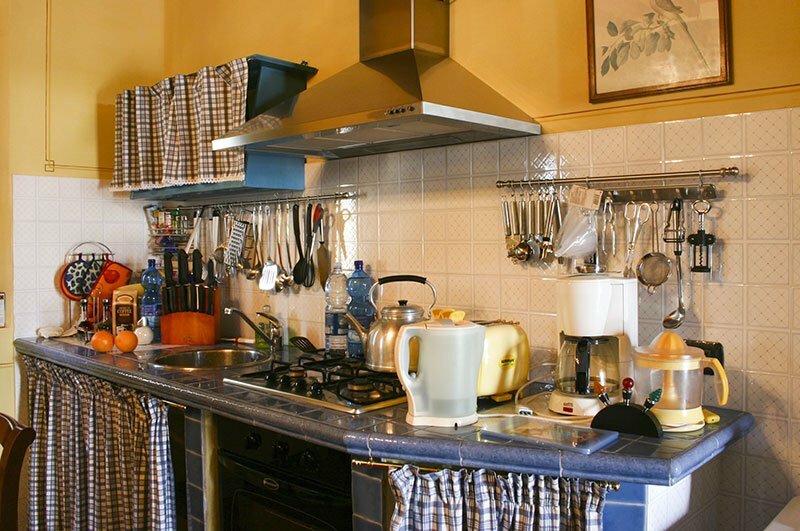 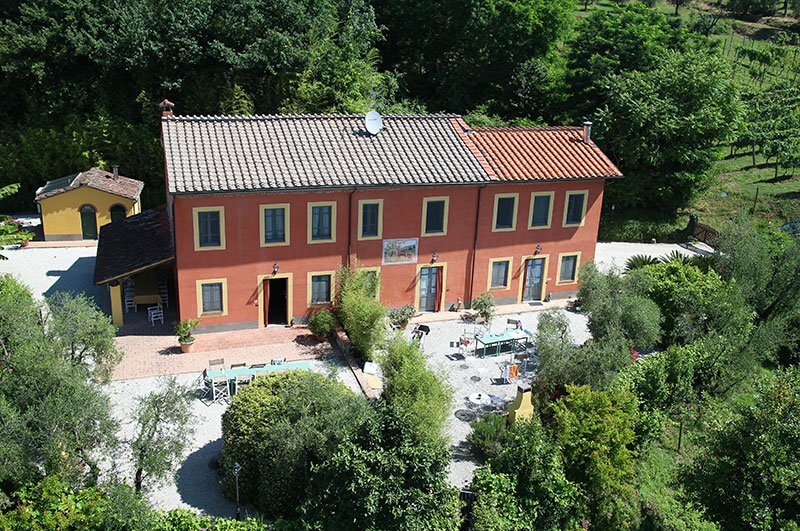 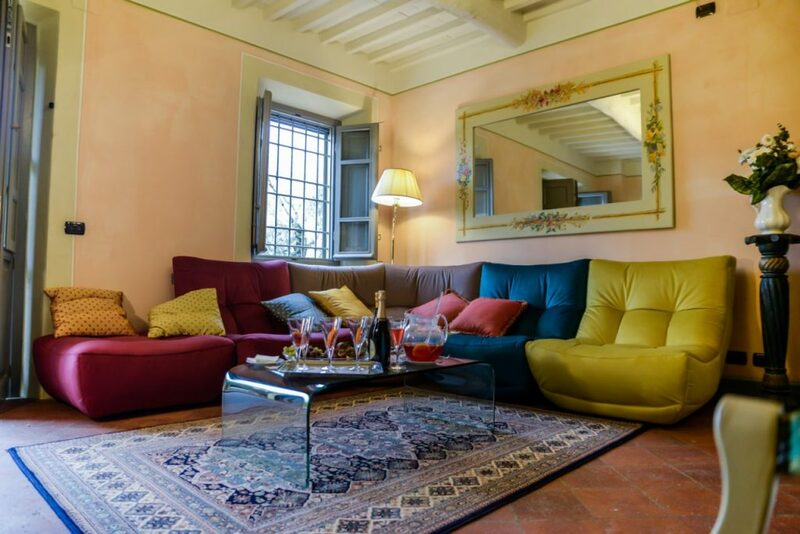 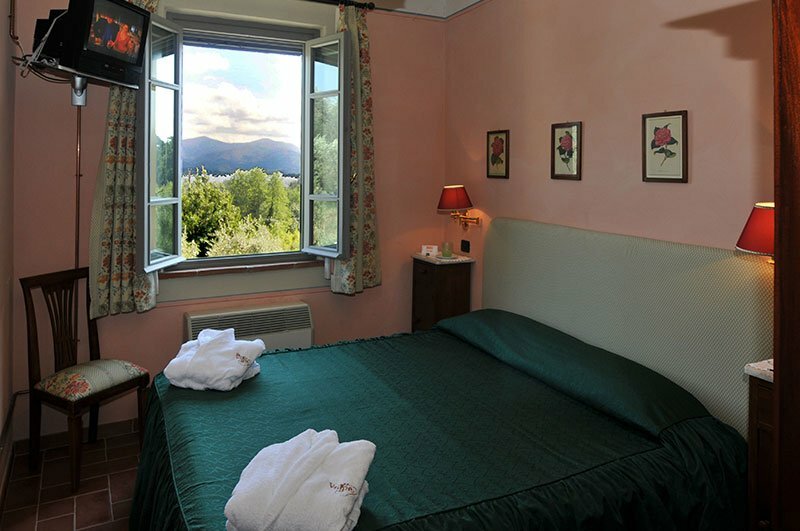 Villa Adami is set in a lovely spot among vineyards and olive groves in Lucca countryside. 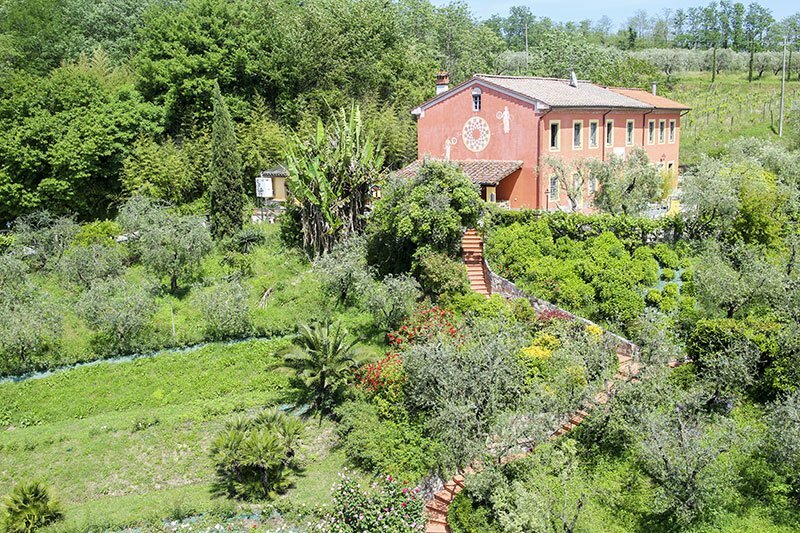 Peaceful silence and greenery surround the property. 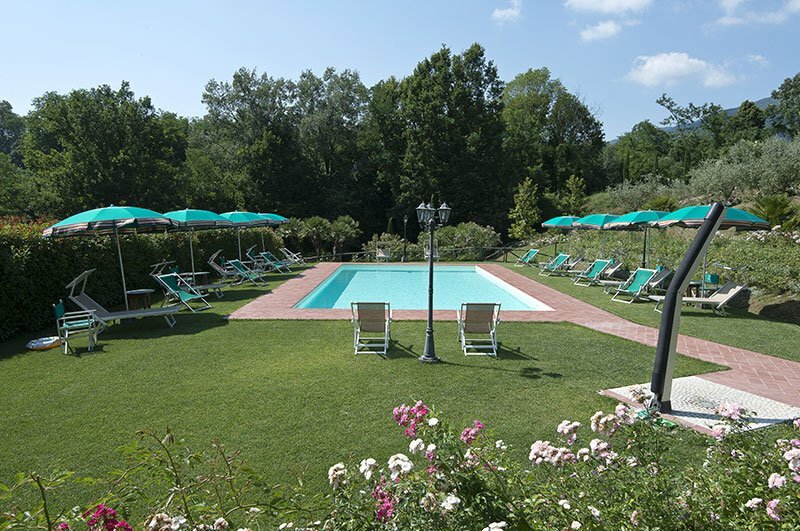 The garden and the pool area brimming with colourful flowers delighting the guests. 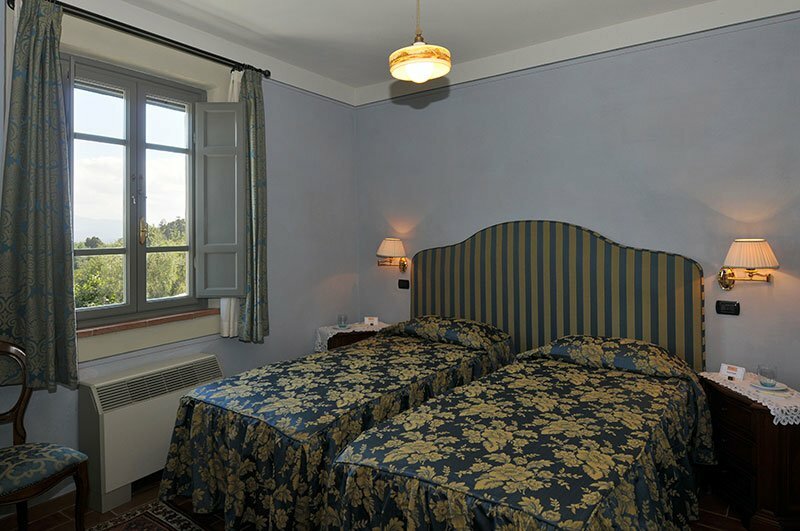 In total the Villa has 10 bedrooms. 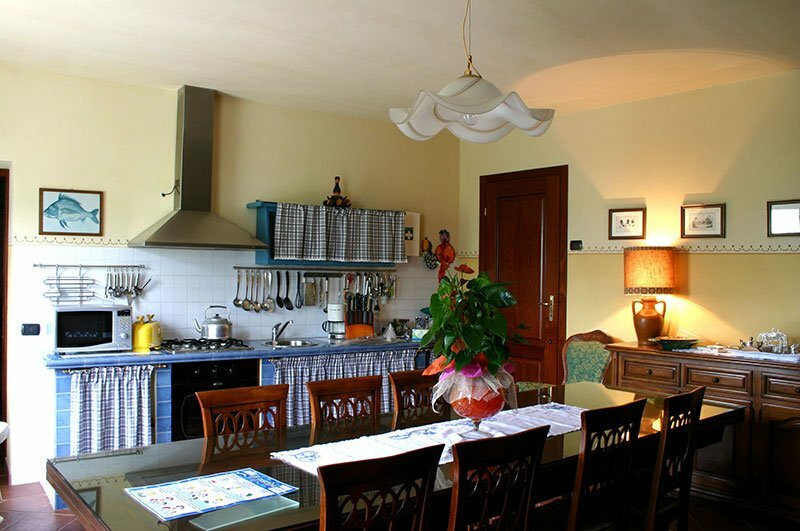 It can be rented together or 2 houses separately ( 5 bedrooms each). 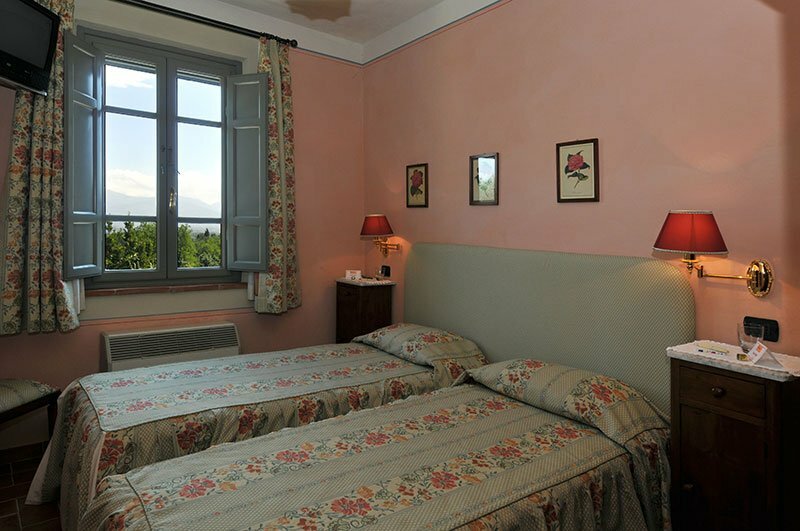 This property can trace its history back as far as the 18th century, when it was a hunting lodge. 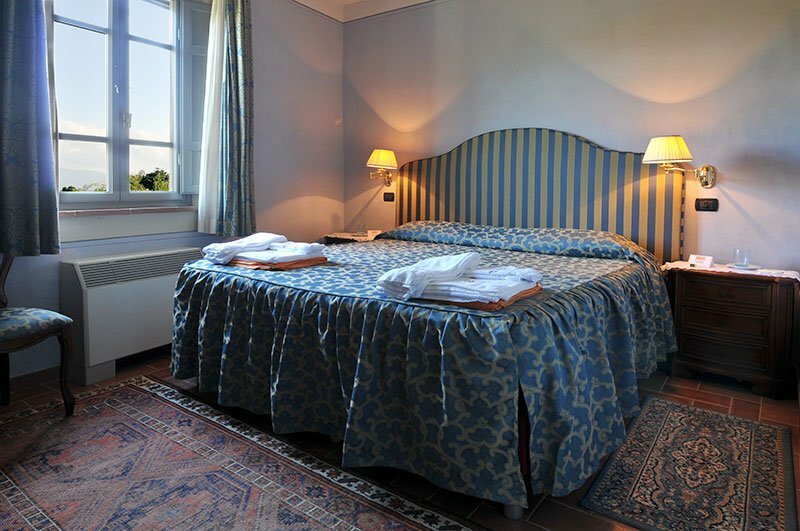 It is situated in a lovely spot among vineyards and olive groves, surrounded by monumental historic villas. 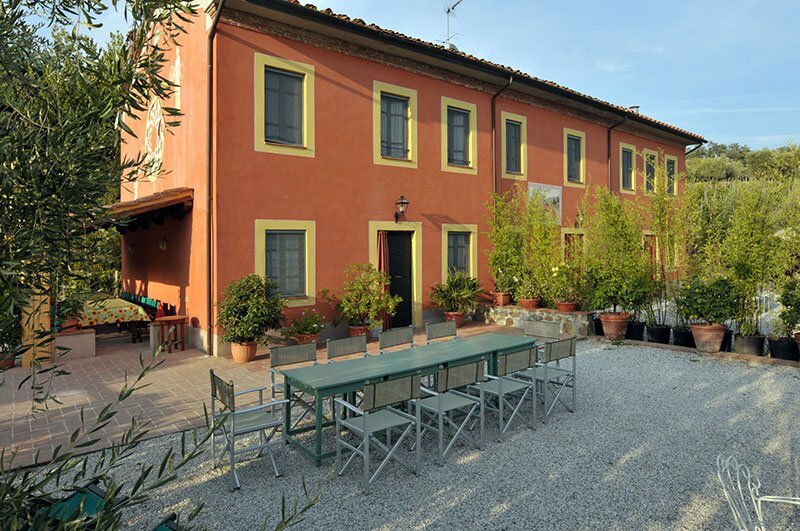 Peaceful silence and greenery surround the property, the only sounds you hear are birdsong and the rustling of the leaves. 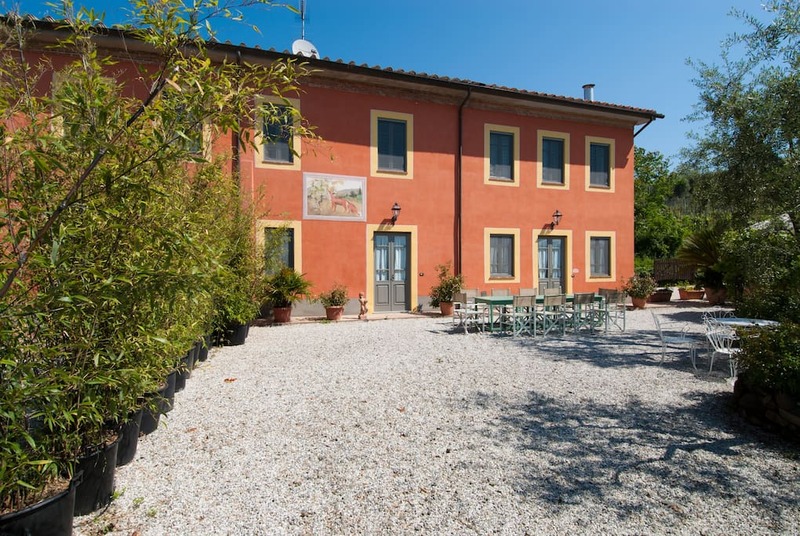 The house is tucked away, hidden from the eyes of any curious observer, but it is easy to get there, on a country road just 200 meters from the main road. 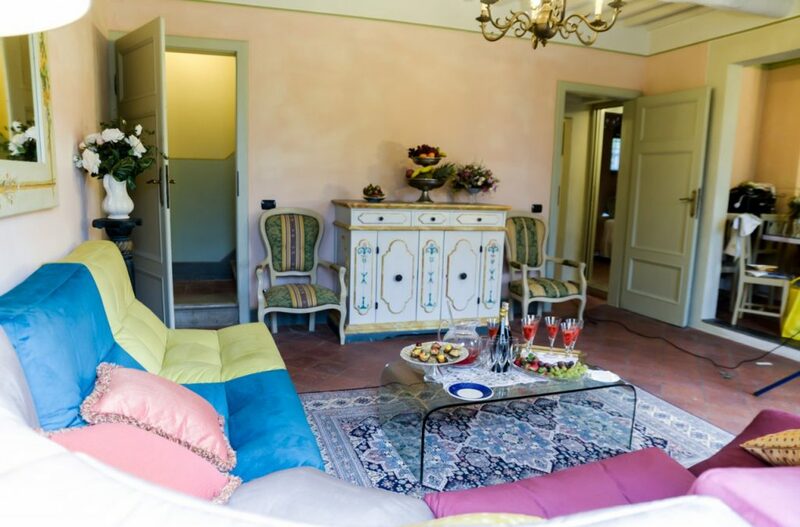 The Villa has been completely restored and renovated while maintaining the charm of a typical house of the Tuscan countryside. 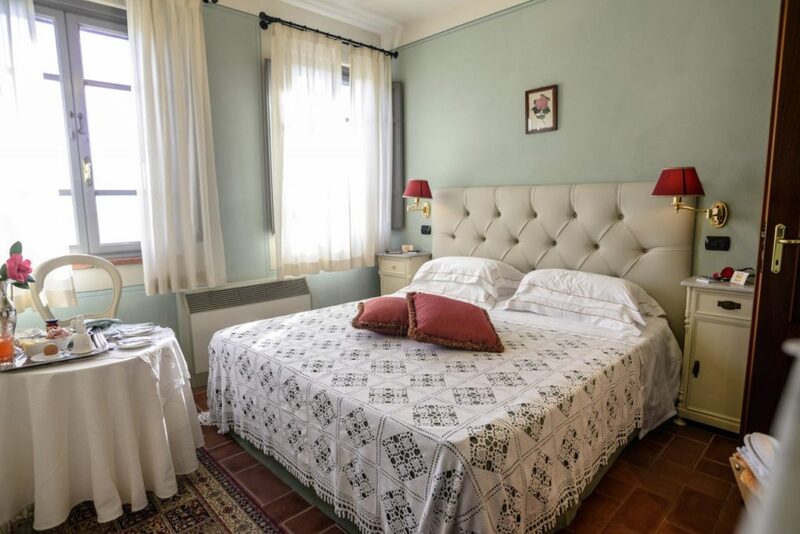 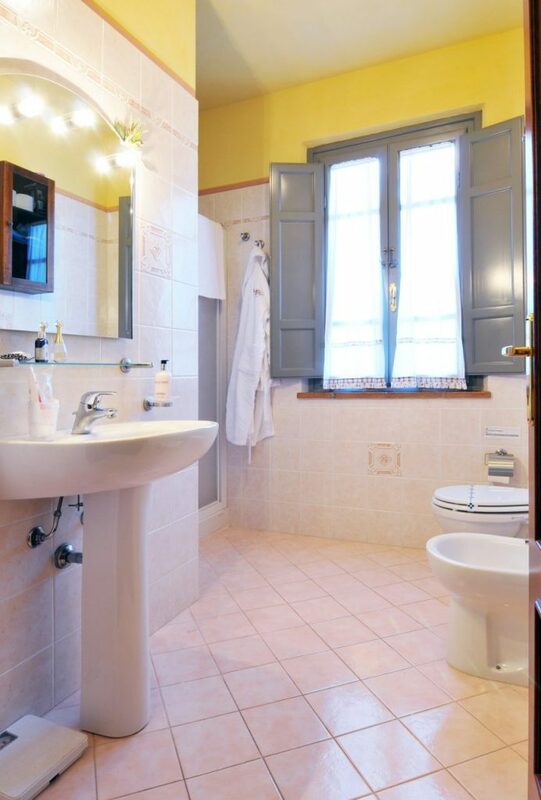 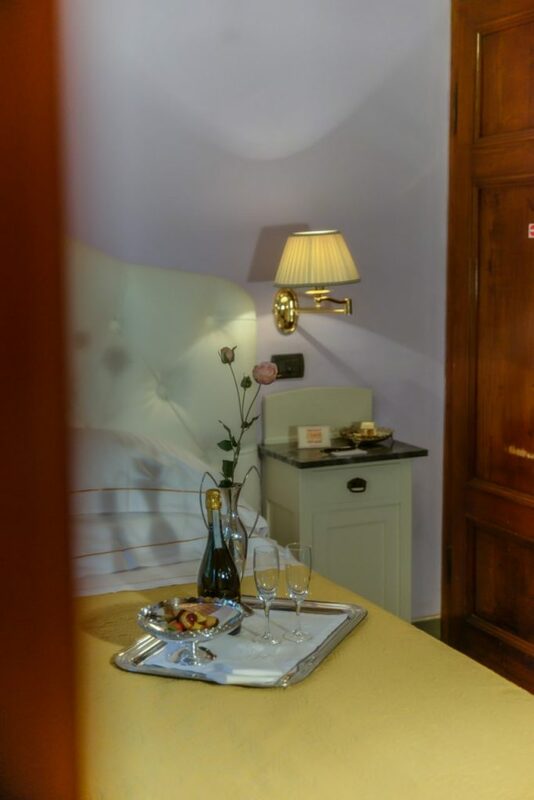 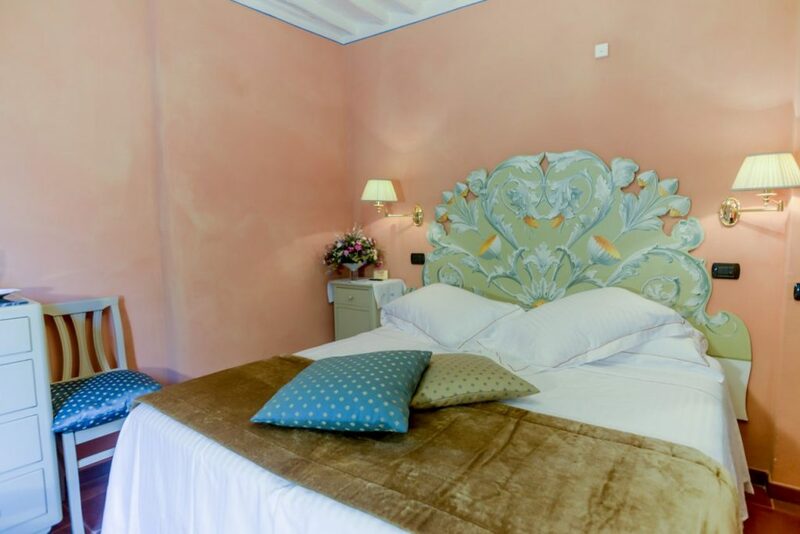 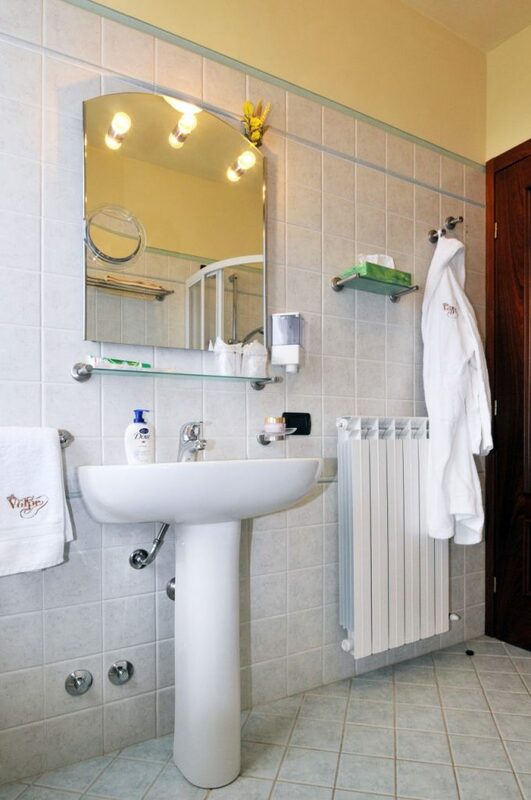 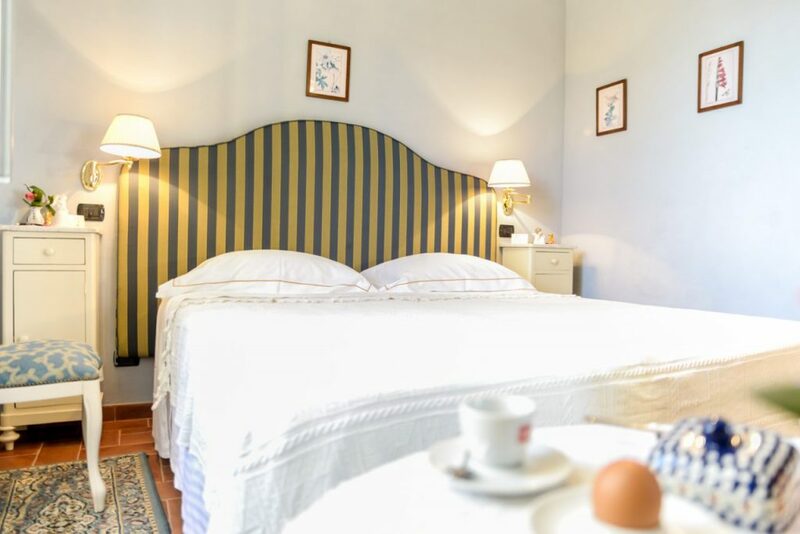 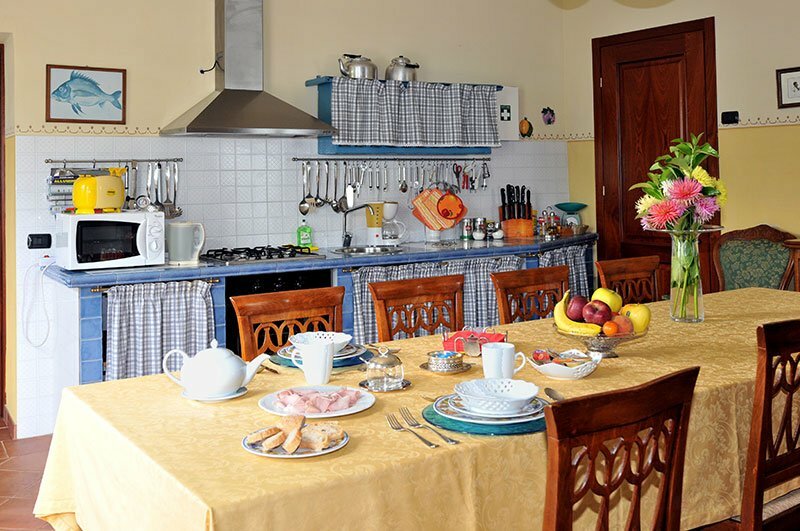 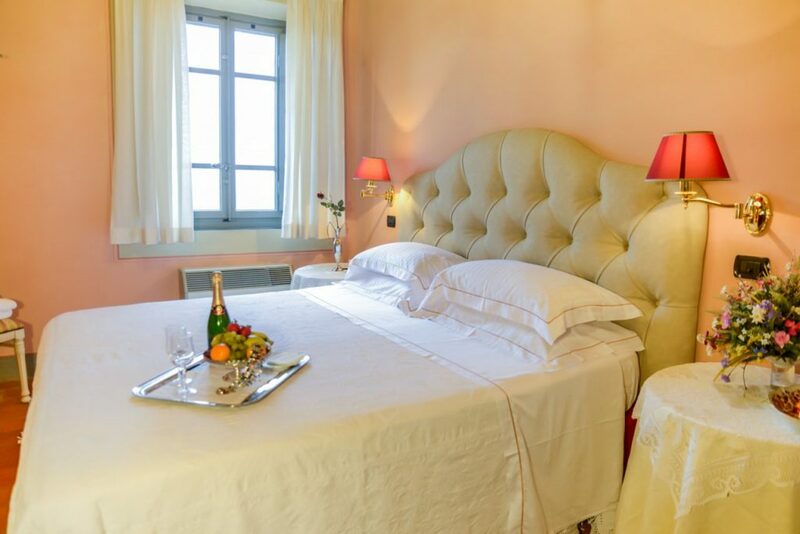 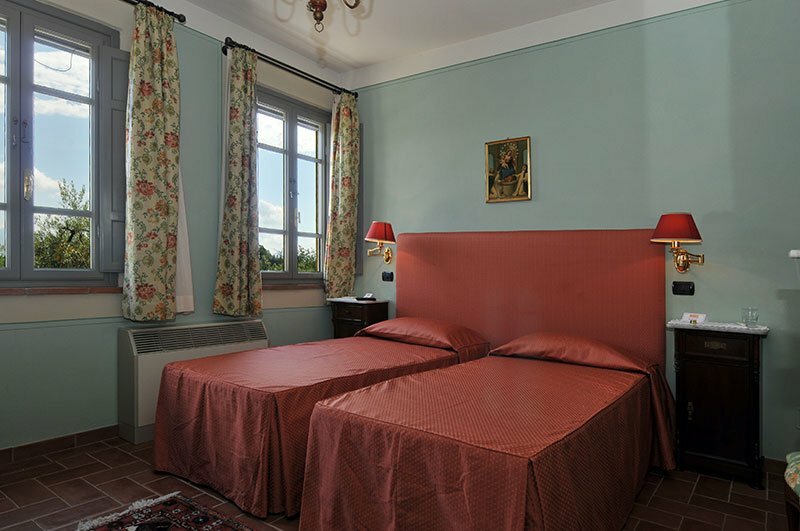 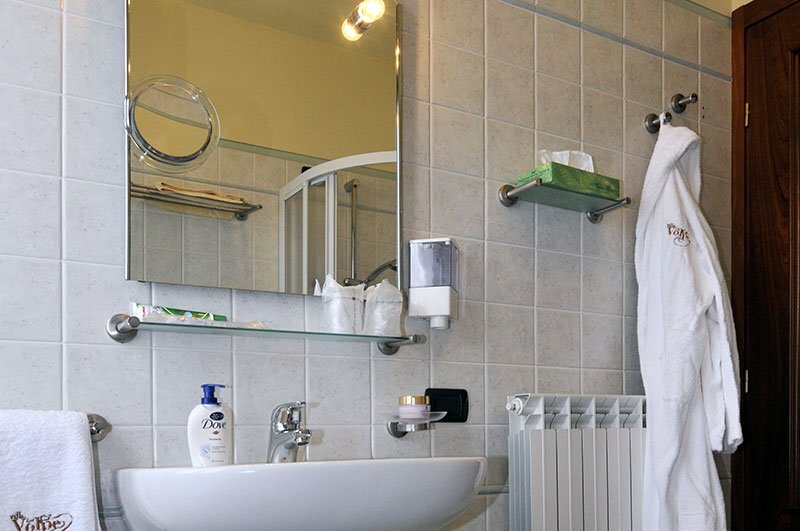 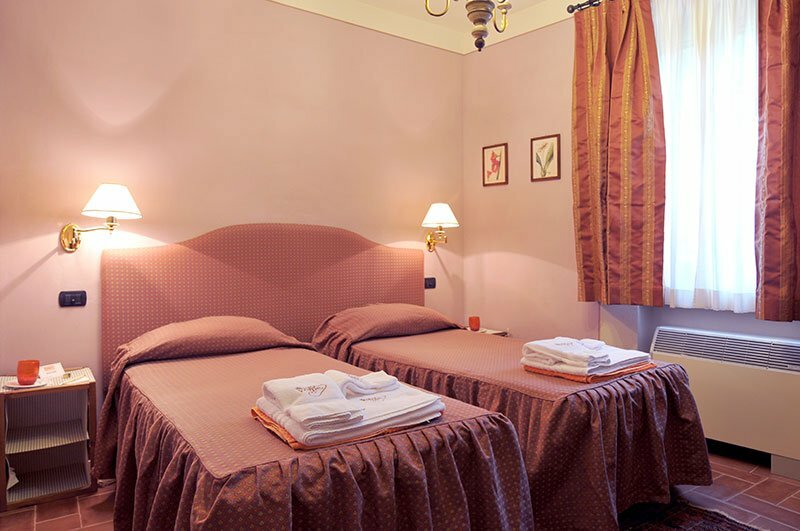 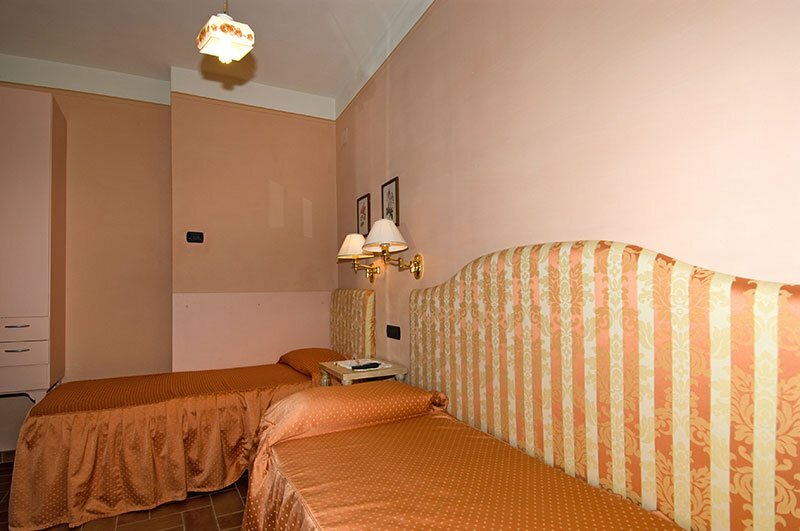 The Villa has 10 charming rooms with en suite baths, each room is furnished with typical Tuscan antique furniture. 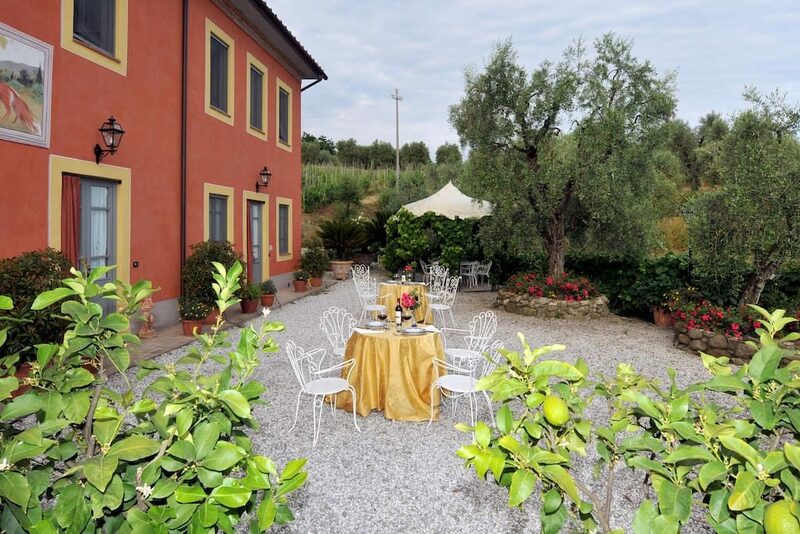 The garden and the pool area brimming with colourful flowers delighting the guests. 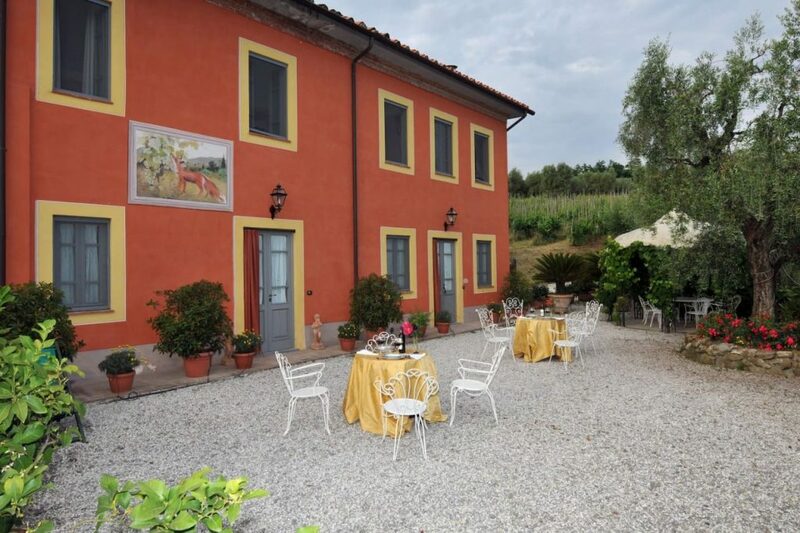 The daily afternoon breeze that gently sweeps over the patio with its easy chairs, tables, and gazebos makes a vacation here always pleasant, even on the hottest days in August. 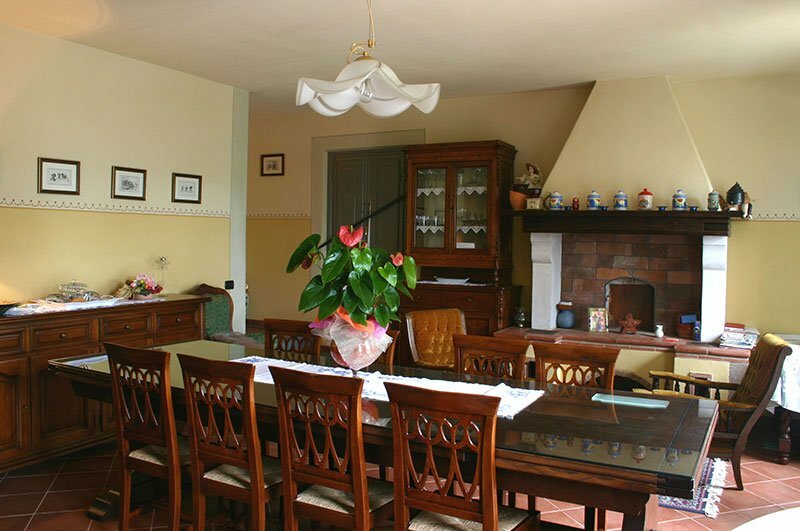 The property is divided in 2 attached houses that can be rented together or separately. 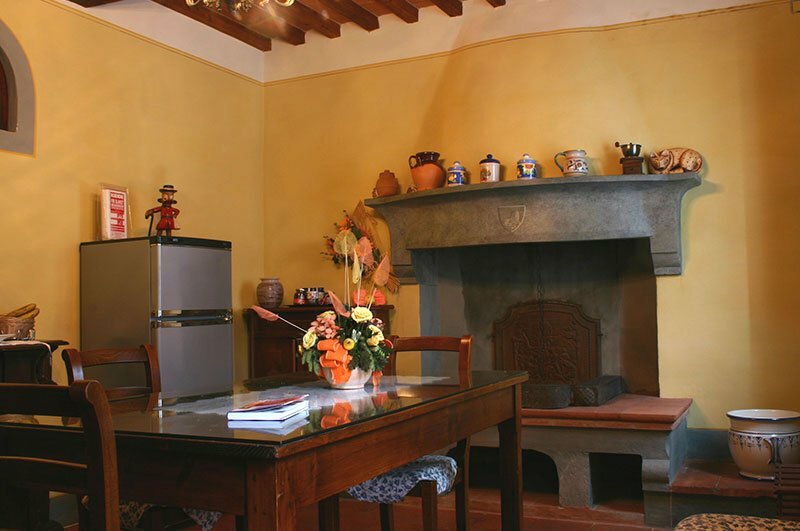 The first house , CASA ADA, at the ground floor has a dining/family room with study and lounge, equipped with satellite TV, stereo and wireless internet connection, a kitchen, fully equipped with small breakfast table and fireplace, a double/twin room with en suite bath (shower). 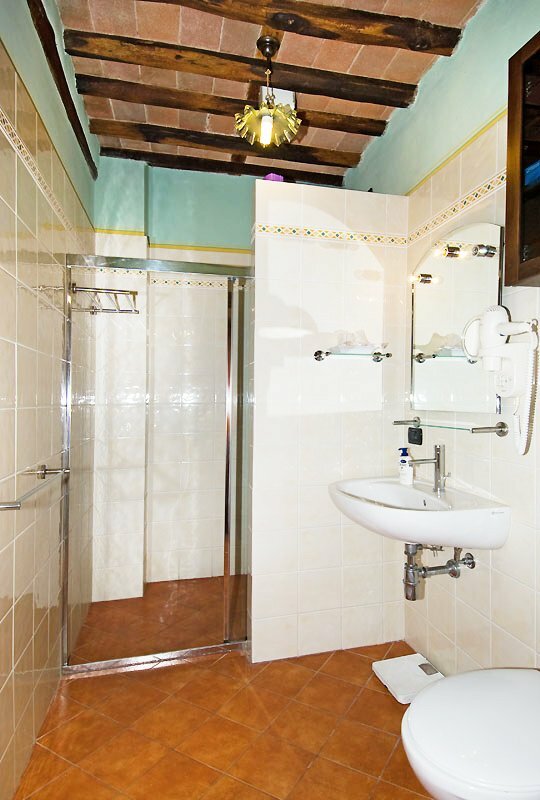 At the first floor 4 double bedrooms with en-suite bathroom. 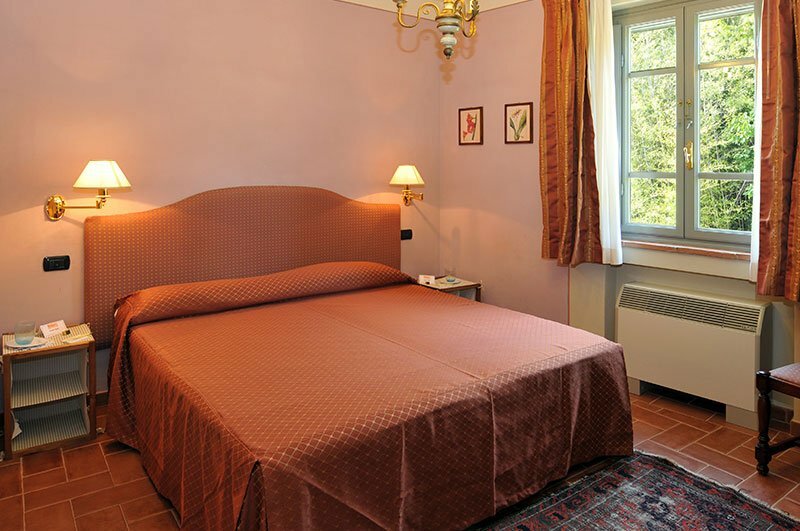 All bedrooms have individually controlled air conditioning, satellite TV and mosquito screens. 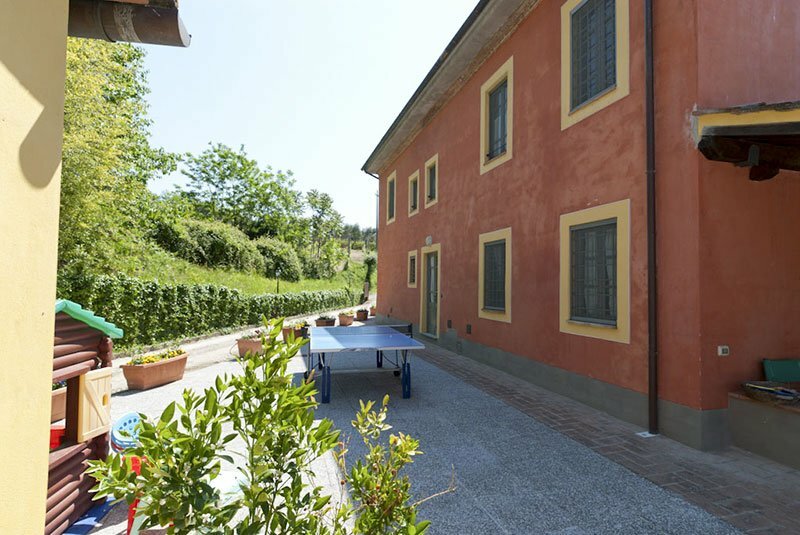 The second house, CASA MICHELE, at the ground floor has a big dining/family room with kitchen and lounge area around fireplace, equipped with satelliteTV, stereo and wireless internet connection, a double room with en suite bath (shower). 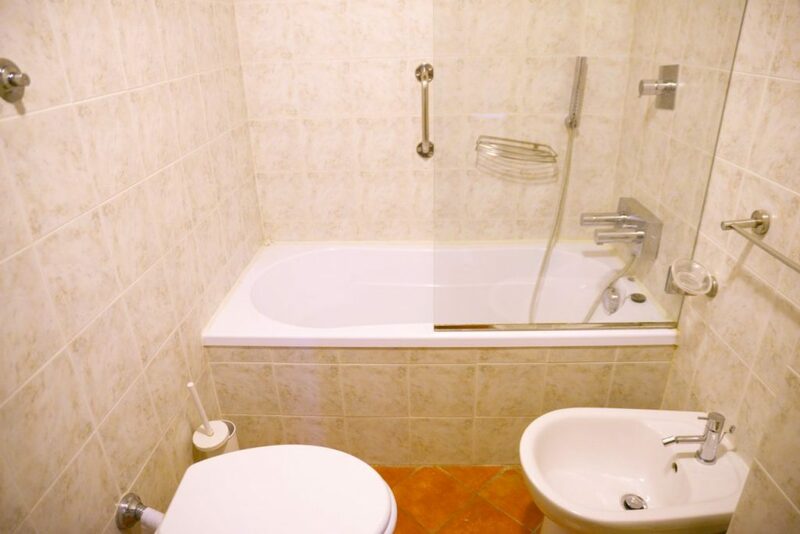 At the first floor 4 bedrooms ( 2 with en suite bathrooms). 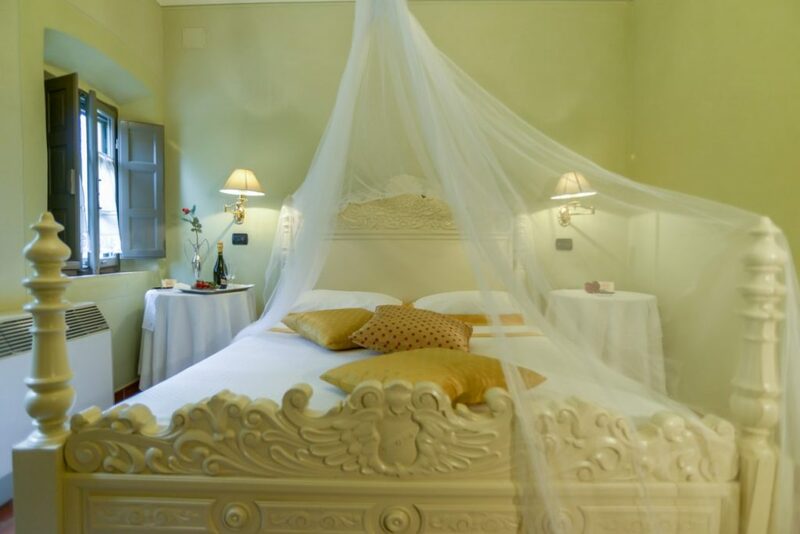 All bedrooms have individually controlled air conditioning, satellite TV and mosquito screens. 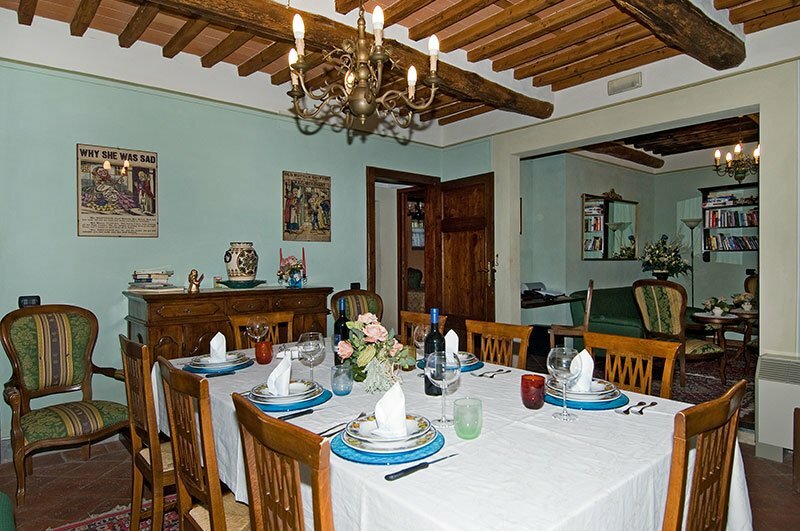 Each houses enjoy a shaded terrace with large wooden dining table, lounge chairs, a gazebo grown in by jasmine, shading a round table for 10 guests. 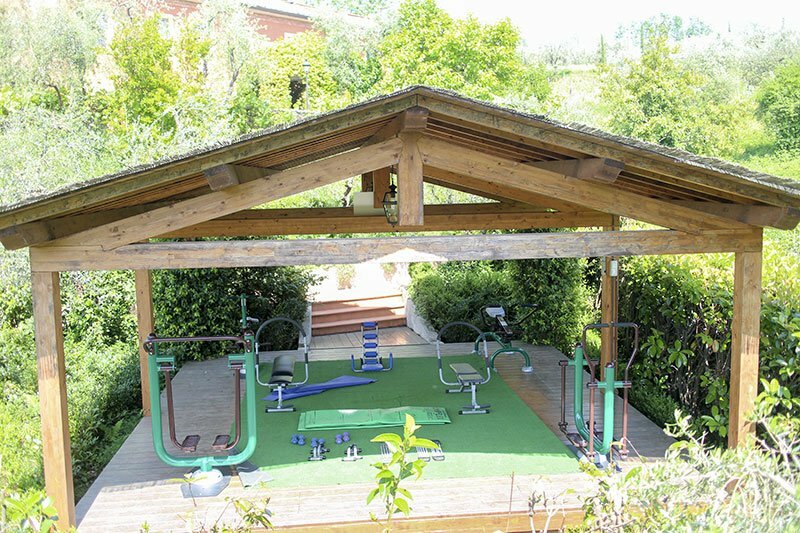 Halfway down from the patio to the swimming pool, you will find another terrace with a wooden gazebo, lined with flowers and green plants, which is used as an outdoor gymwith a variety of exercise gear. 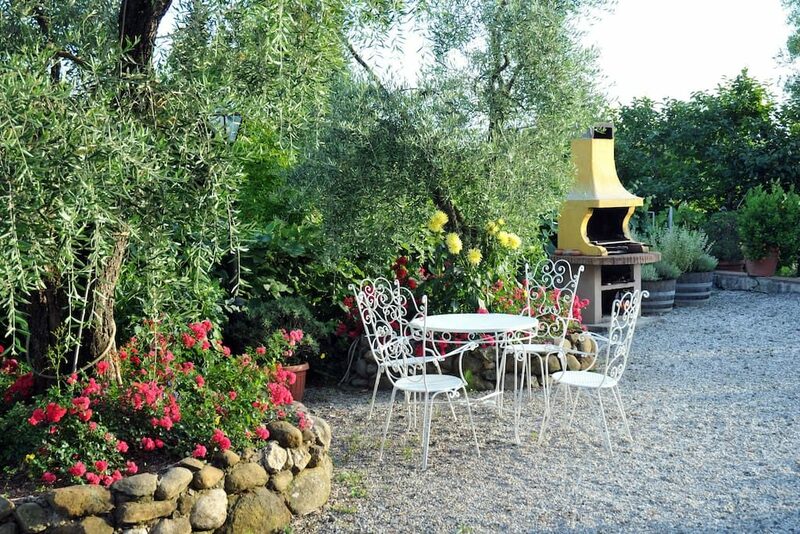 2 Barbecues station.